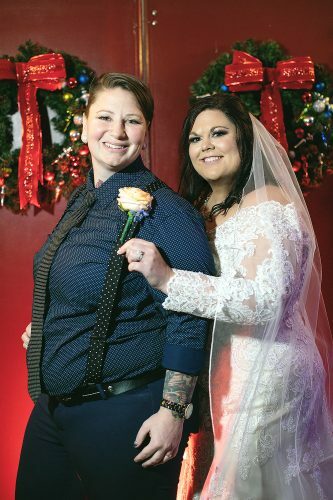 WEIRTON – Shannon O’Lyn Mahoney and Adam Nicholas Dintini were united in marriage on Nov. 8 in the Little Falls Presbyterian Church in Falls Church, Va. The bride is the daughter of Brian and Terry Mahoney of Alexandria, Va. The groom is the son of Edalo and Lynn Dintini of Weirton. 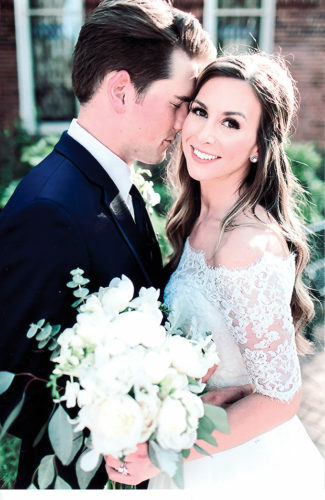 The bride wore a softly beaded lace gown with a sweetheart neckline and organza and lace ruffled skirt, as well as a long tailored satin sash with rhinestone and pearl embellishments. 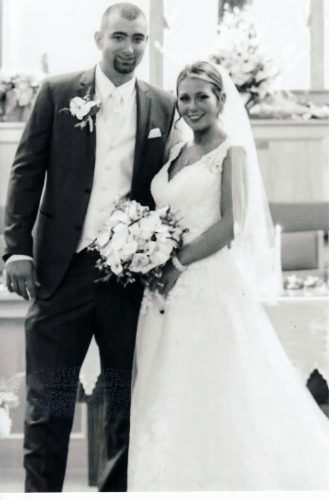 The maid of honor was Kelsey Mahoney, sister of the bride, of New York City. Bridesmaids were Alison Mahoney, sister of the bride, of San Diego, and Alyssa Reiman of Alexandria. The best man was Frank Vranovich IV of McKees Rocks, Pa. Groomsmen were Anthony Ianni of Pittsburgh and Jeremy Black of Falls Church. 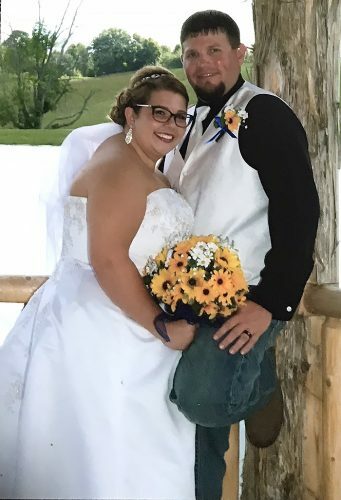 A reception was held at the Top of the Town in Arlington, Va.
After their honeymoon to the Hawaiian Islands, another reception was held at Undos in Weirton. 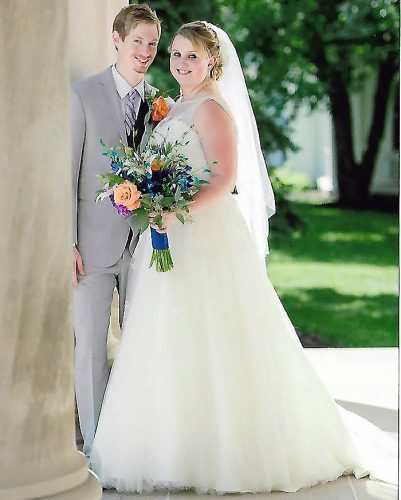 The bride is a graduate of Hayfield High School and James Madison University. She is employed by Kearney & Co. in Old Town Alexandria as a human resources specialist. The groom is a graduate of Weir High School and West Virginia University. He is a CPA employed by Kearney and Co.